Made by: Emlak Konut Gayrimenkul Yatırım Ortaklığı A.Ş. 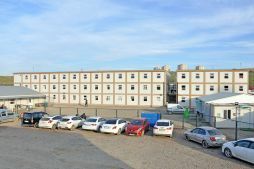 Contractor: Mustafa Ekşi İnşaat Ltd. Sti. 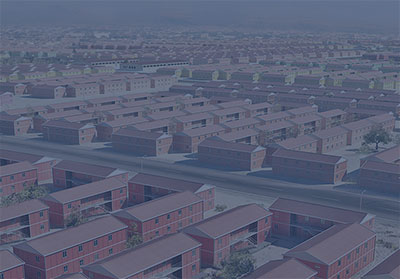 Social Housing production in Turkey's largest Real Estate company Emlak Konut Gayrimenkul Yatırım Ortaklığı A.Ş. 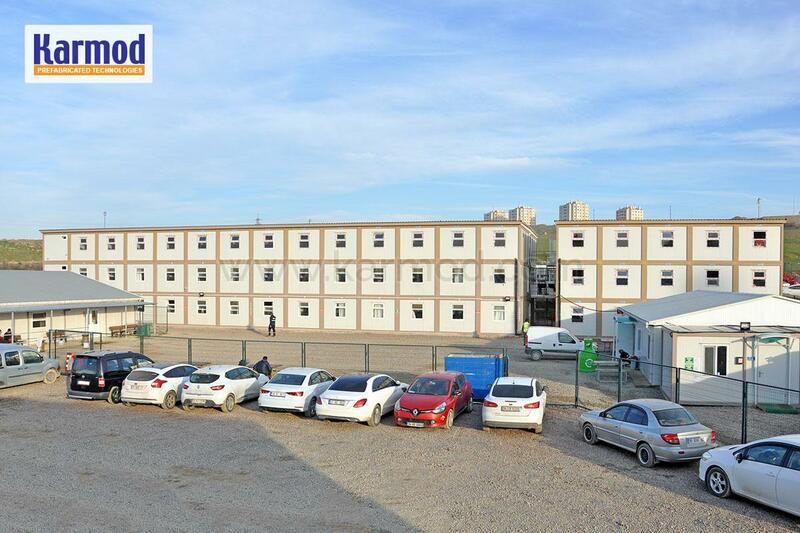 in Gebze ongoing Phase 3 of 7 thousand staff working on residential projects in the New Generation of Karmod are staying in campus construction, built with container model. 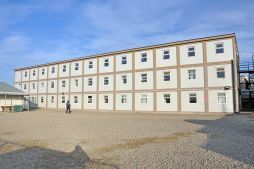 The site complex to be used for at least 3 years includes departments such as engineers 'and workers' bedrooms, recreation rooms, social areas, wc shower units. 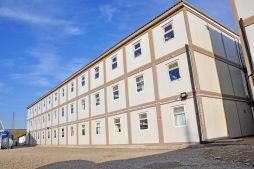 The New Generation Container offers all the benefits of accommodation in a project that reflects the vitality of the accommodation. International standards including occupational health and safety were carefully applied in every detail of the project. 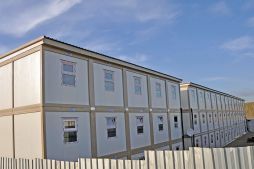 Why are Karmod Containers preferred for Real Estate Projects? 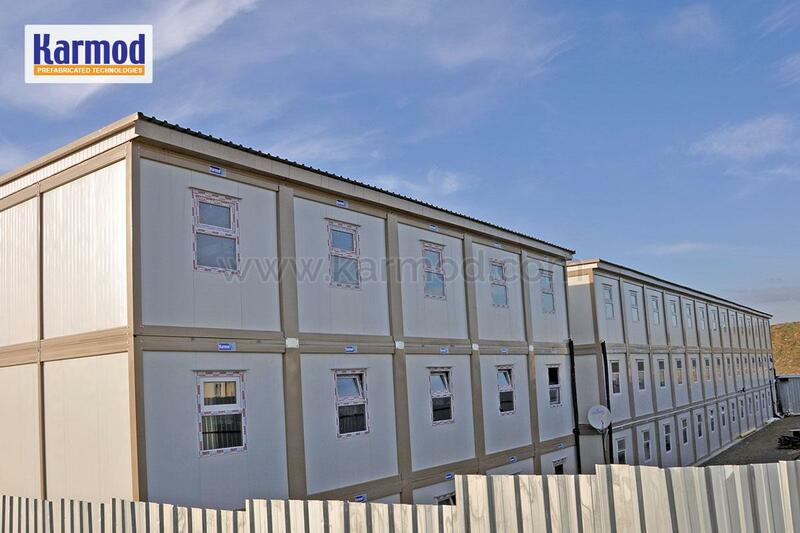 The Karmod container is among the long-life structural models with fully welded screw and plug-in production system. The product can be unscrewed several times without damaging the product. In a short period of time, it can be disassembled and transported to another project or stored without space, if requested. 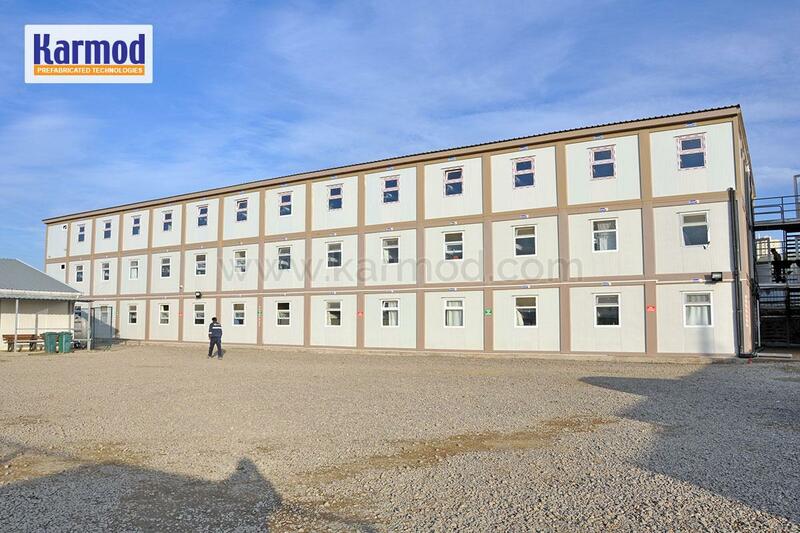 Sandwich panel system with high insulation is used in wall and roof panels. 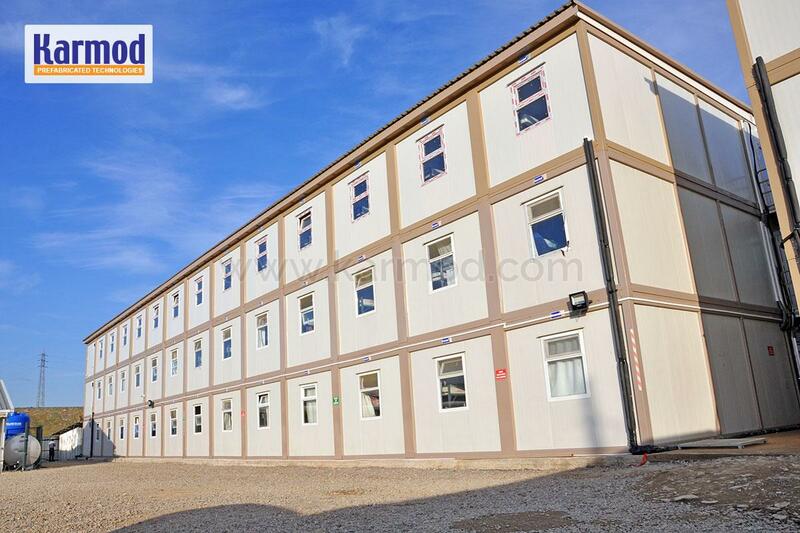 It has a roof panel seam system and is number one with its waterproof feature compared to similar productions. The galvanized sheet system is used in the roof of classical production panel containers and when the rain gutter ducts are blocked, the container gets water inside. Karmod's new generation of stainless steel sheet material is painted using the painting system used in automotive technology.